I am a Mummy to two boys, aged 7 and 5 . I was diagnosed with PND in July 2013 at Matthews 16 weeks check up. Being honest I had known for much longer than that but was trying my best to pretend that everything was fine. I completely broke down and felt like the worst Mum in the world, how could I let this happen to me? I was so ashamed. What I realised over the next few months was that it was nothing to be ashamed or embarrassed about and that with medication which I visited my GP regularly for and counselling provided by crossreach I could and would get better. Throughout my recovery I always felt that what would have helped me was to meet Mums in similar situations. With new research showing as many as 1 in 4 new Mums felt this there must be plenty others across Edinburgh? After hearing of others who had set up support groups, I launched the first support group in Longstone April 2014 which became Juno in February 2015. I could not have imagined what a journey I would go on from there. Through social media, word of mouth and articles in local press. The obvious demand for this service was incredible. I met some lovely ladies who felt as passionate as me about supporting Mums through perinatal mental health issues and also about breaking down stigma. We felt the service we were providing was much more than peer support. It is creating a network across Edinburgh, pointing people to what support and advice is available, outreach work for those who feel unable to come to groups and a subsidised counselling services for those struggling with waiting on long waiting lists. I am so proud to be part of something truly amazing which I know can only grow bigger and support as many Mums as possible. If you are reading this and you are newly diagnosed or think you may be suffering from perinatal mental health difficulties I would urge you to please, please reach out and seek help. No matter how useless you feel, how embarrassed or judged by speaking out you will start your journey to recovery and there is a whole load of Mums who have and still do feel the same as you. I got better and so will you. I have four boys, twins aged 10 and a younger brother aged 8 and a new baby. 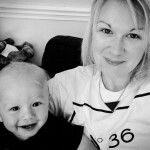 I was diagnosed with PND when my third son was 9 months old. That experience led me into a career of supporting women and into my involvement with Juno. I couldn’t believe that I had depression. It was something I just didn’t understand or believe could happen to me until what I can only describe as having a nervous exhaustion. I’m very passionate about mothers being supported as a way to lower the risk of perinatal mental health, of breaking down the stigma and of the value of Experts by Experience (ie peer support) as a way to support women in their recovery. Following my own recovery, I decided to start supporting women as a career. I’m now a doula, EFT Practitioner, Birth and Perinatal Trauma Therapist and Mindset Coach. I am a member of the Maternity Services Liaison Committee for NHS Lothian, a Maternal Mental Health Scotland Change Agent, I support the Managed Clinical Network for Perinatal Mental Health as a lay person and have been invited to the House of Lords and House of Commons as a Maternal Mental Health Campaigner. I’ve loved being involved in Juno. It’s a vibrant and diverse group of women all coming together to work together to overcome the challenges of Perinatal Mental Health Illness. Come along to our groups and find out more. I’ve been attending the Juno groups since it began, and I also joined the committee in the latter part of 2014. I run the twitter account and also some aspects of PR for Juno PMHS. My son Ethan is 5 years old. He was born by emergency section after quite a long labour, which was a shock to both mind and body! 5 weeks after Ethan was born I was admitted to hospital and diagnosed with Pancreatitis. I spent the best part of 4 months in hospital away from our family, our new baby and our home. It is hard for me to pinpoint exactly where my PND journey began. I suspect I was experiencing PND at this point but the fight (physically and mentally) to deal with pancreatitis every day overshadowed it. 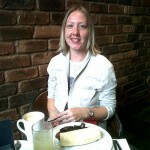 My pancreatitis journey (for want of a better word!) lasted over 18 months. I was officially diagnosed in early 2014 when I had attended my GP with the view that counselling would be best for me, then found out I would have to wait over 12 months for counselling. Luckily my GP is proactive and supportive. She told me about the group and I am so glad I showed up – even though that was very hard! Juno has been completely invaluable to me and in turn to our family. It allows a safe, supportive, friendly environment for myself and my son at the support group. This has played a massive part in me dealing with my PND and I’m now very passionate about PND sufferers voices being heard and it being treated as the horrific illness it is, trying to make a positive out of such a negative experience. I’ve made wonderful friends through Juno, who have supported me massively. If you are reading this, the same could apply to you! I hope I can now use my experiences this far to maybe help others along the dark path of PND with the offering of friendship and support. I’m married to Jeremy and we have twin girls who are 7. Having tried for a number of years to have children, going through fertility treatment, loosing our first little girl (sadly she was stillborn) when we eventually conceived again and gave birth, albeit a little prematurely, to healthy twin girls, post natal depression was not something I expected. My dreams of being a Mum were finally realised and yet something was not right, actually far from it. I was diagnosed with PND when our girls were about 5 months old. I had been struggling with major anxiety, hopelessness and awful insomnia to mention a few of the main symptoms but just didn’t know that all of these things pointed to post natal depression. I had a tremendously supportive GP who assured me I would “get better and not feel like this forever” and prescribed medication but unfortunately she struggled to access any support in terms of talking therapy or peer support as there were such long waiting lists for the limited services which were available. Fortunately I was in the position to access private counselling and with her support and medication I eventually recovered, began to feel myself again and subsequently came off medication (approximately 18 months after I started it) I was really pleased to hear, through a friend, about Juno, it’s so good that support like this now exists, freely and throughout Edinburgh. I look forward to getting involved a bit in the hope I can contribute, in some small way to this invaluable organisation. I often felt isolated both before diagnosis and also whilst suffering from the acute affects of PND as it’s a hidden illness, one which is often misunderstood. The services offered through Juno means that at least you don’t need to be isolated if you experience such difficulties. 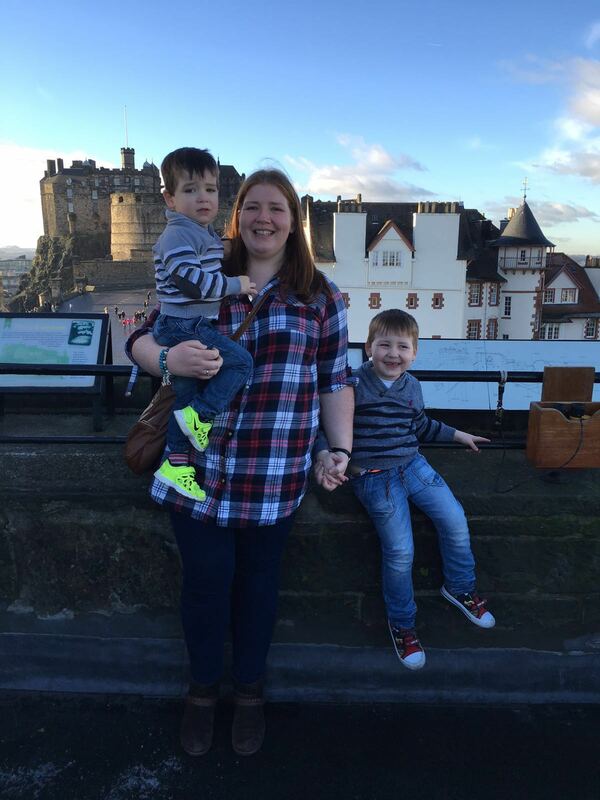 I have 2 sons aged 5 years and 2, I was diagnosed with PND when my first son was 7 months old. Previously to this we had had a lot going on at home and so I was told I was just stressed and feeling down with extenuating circumstances. I knew that wasn’t all it was and the building guilt of feeling like a failure and a “bad mummy” was getting worse. After a visit from a new health visitor I admitted for the first time to a health professional that I was putting all of my energy into pretending everything was OK, when really all I wanted to do was hide in my bed and be alone. This was exhausting. I attended counselling and gradually began to feel like myself again. Albeit a new version of myself. 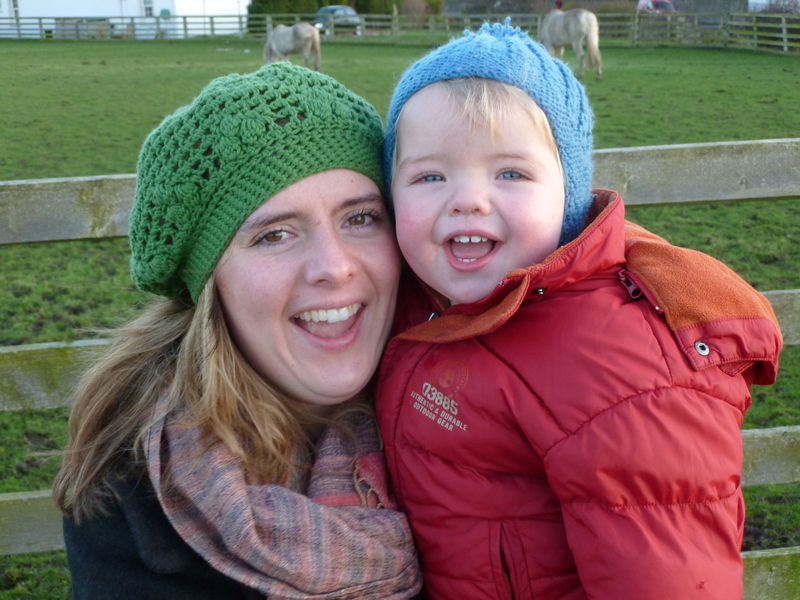 I grew to realise that it was OK to admit that being a mum was a really hard job at times. I found during my recovery that there were so few services for woman struggling with mental health following the birth of their babies. This shouldn’t be the way and so I am very passionate about being part of Juno and helping to change this. I met Tricia from Juno in 2015 through my job at the time and I found her support throughout my second pregnancy invaluable. 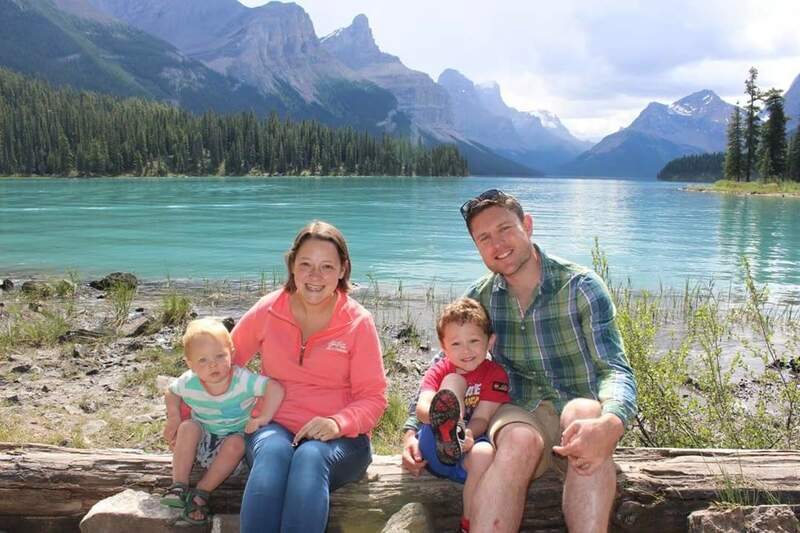 We welcomed our second son in July 2016 and I became a member of the Juno committee at the end of 2016, I am one of the group facilitators at the Gilmerton group. 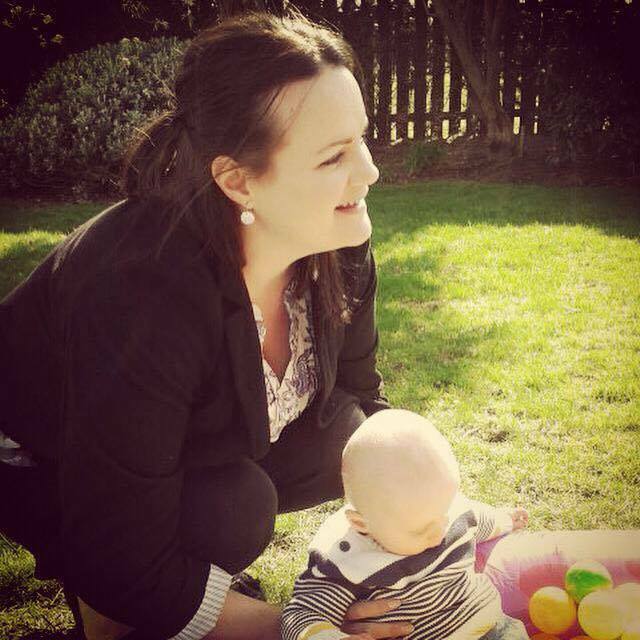 I find it so empowering and rewarding being able to offer peer support to fellow mums. Juno offers peer support for all areas of perinatal mental health and so if you are struggling and need a safe place to talk, cry and laugh then come along to one of our groups! I’m Susi and I gave birth to my lovely son Andrew in 2013. Prior to that, postnatal depression was not something I’d ever particularly thought about. Having good physical and mental health throughout pregnancy, I naively assumed that everything was going to be just fine after the baby arrived. But within week or two of his birth I was at at a lower point psychologically than I ever imagined. Friends told me that having a newborn was ‘like heaven and hell at the same time’. But I couldn’t see any sign of heaven: I just had a baby who I didn’t love, who never seemed to sleep, and who cried (or made me cry) the whole day long. I was diagnosed with depression very quickly by a midwife. My journey to full metal wellness over the following 6-18 months was slow but steady. Gradually me and Andrew developed a proper bond, and I began to feel like myself again. Having safe spaces where I could be open about my illness without fearing judgement were crucial during this period. And it is because of this that I now volunteer with Juno; hopefully offering other women the same sort of listening ear and empathy which were so important throughout my own recovery. I am mummy to three year old Benjamin. I had longed to become a mother for so long and thought I would take to parenthood like a duck to water. However, after struggling to conceive and following a difficult pregnancy and birth, my expectations were far from reality. In particular I really struggled with anxiety and loneliness, feeling like I was the only mum who felt this way. I joined Juno to try and help other women know they are not alone. I am a Mum to two very cheeky boys, aged 6 and 3. When I was expecting my first baby I was so excited for all the adventures to come and was longing to experience this instant bond I had heard so much about! Unfortunately, I had a tough birth which resulted in four days of sleeplessness before he even arrived, which impacted on my ability to breastfeed. Due to the tiredness I didn’t bond with him at all, and in hindsight I had PND from the start. After 6 months of anxiety, I finally realised what I was feeling wasn’t normal, and I sought help from my health visitor (who had been hoping I would!) She referred me to CrossReach. There was a wait to see a Counsellor but in the meantime they were able to take him into their creche once a week for a few hours to give me some time to sleep/be me again, which helped hugely as I had no family nearby to help me. I had around 6 months of counselling and by the time he was 18 months I was able to cope much better. I heard about Juno through a friend, and I have been helping at the Gilmerton group on Friday mornings since early 2017. I wish the group had been around when I was suffering, and hope that I can contribute to helping other Mums feel less alone and more supported. I am mum to a very typical 5 year old boy. Aside from a good dose of morning sickness and delightful heartburn, I had a nice straightforward pregnancy and couldn’t wait to welcome Matthew in to our family. At my 41 week appointment, the easy and straightforward pregnancy changed a bit and I was admitted to hospital until Matthew was born 2 days later. I wasn’t the mum who got the all-encompassing rush of love and was so exhausted I passed him to my husband straight away (but not before he had chance to pee on me!). I struggled with the fact that I hadn’t had the rush of love (although my mum helped me rationalise that I hadn’t fallen in love with my husband straight away so all was not lost!) and felt flat but assumed it was just lack of sleep and a colicky, refluxy baby that was causing it. My mum had suffered from postnatal depression when she had me but I was sure I was fine as I didn’t feel as bad as her stories sounded. It was perfectly normal to cry every day when you were running low on sleep! So, when I went for my check up and saw the Edinburgh depression scale, I modified my answers so I didn’t sound melodramatic and went undiagnosed. 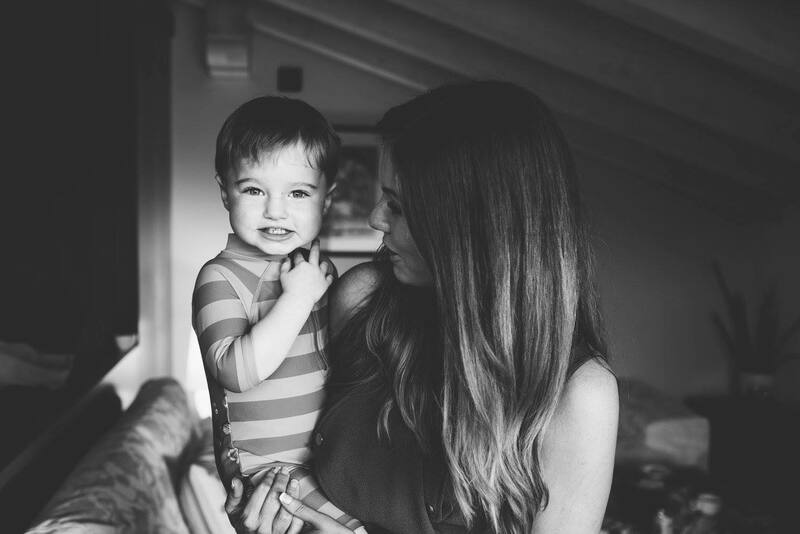 After about 6 months, I started to notice that I loved my little boy (which sounds ridiculous to me now) and could appreciate where I had been. I spoke to friends more openly about how I had felt, not just about the tiredness! After about 12 months I felt like ‘I’ was coming back, like I was a bit more me again, and I continued to get better. Earlier this year, I heard that Juno were looking for volunteers and realised how much I wanted to be involved in something that I wish had existed when I was in the midst of it all. I am Mum to two wonderful children, 7 and 5 years old. When I developed PND, I was in denial about it for a very long time and simply battled on. My first baby was born prematurely and needed medical care for a while after birth. Somehow I put all my energies into worrying so much about keeping her alive, that I ignored my own very serious postpartum symptoms. I had thyroid dysfunction which was undiagnosed for 7 months, as well as excruciatingly painful childbirth-related tearing which took 2 years and 3 operations to heal. It was only 18mths after my 2nd child was born (this time fortunately by c-section) that I admitted to myself that although I had physically recovered by then, the mental scars were still there. I felt exhausted, miserable, lonely and unable to cope. I found it helpful talking with other mums and realising how so many women suffer perinatal illness but so few people talk about it. Talking about it helps break the stigma and allows us all to begin to heal. Another couple of years on, having had medication and lots of therapy, things are way much better. I have found TRE (Trauma Release Exercise) very helpful for releasing a lot of the trauma which was trapped in my body. I am currently training to become a fully certified TRE provider. I joined Juno as a volunteer last year, to help other mums who may be struggling, just as I did. It is a wonderful, supportive charity and I feel honoured to be part of it. I have a son, 4 and a daughter, 1. I had a difficult time following a traumatic birth with my first, and what followed can only really be described as 6 months of hell. 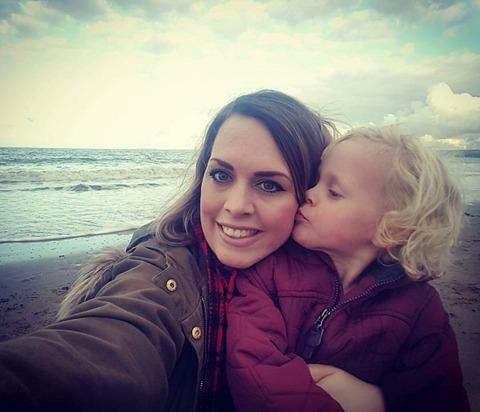 Despite knowing something wasn’t right I didn’t feel able to seek help to deal with my postnatal depression after Arlos birth and kept all of my feelings to myself. I know now that this is a common theme among women who are suffering. To the outside world I looked like I was coping well and enjoying new motherhood. When I became pregnant with my second baby I realised I was going to have to speak to someone about the problems I had previously had, and luckily for me I had invaluable input from the mother and baby unit. When I did become unwell again I was visited at home for 6 months by a psychologist from the unit which really helped with my recovery. I remember all too well how isolating the experience was first time around which is why I now volunteer at Juno. I really believe in women supporting women and hope my small contribution will be able to help some Mums experiencing perinatal mental health issues. I am a mum to two awesome little girls- Martha is 3 and Gwendolyn is 5 months. 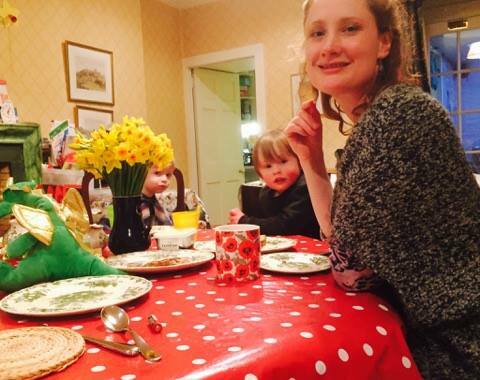 I suffered with post natal depression after the first of my first daughter – I had a long and traumatic labour, leaving both of us quite unwell afterwards. I left hospital feeling pretty traumatised, but as the initial trauma passed I felt steadily worse and worse, trying to process how I felt about the birth and get to grips with being a mum. I had expected to love every minute and was embarrassed and ashamed to find it such a struggle. I also felt very isolated and alone in London, with my family back in Ireland and my in-laws in Scotland. My GP told me I was just tired as all new mums are, so I resolved to ‘woman up’ and just get on with it. I didn’t realise that it wasn’t entirely normal to cry every day after my husband went to work as I didn’t know how make it to lunchtime with a small person depending on me. I spent a lot of time masking how I really felt, throwing myself into baby groups and keeping busy, which I now realise was mainly to avoid being in the house by myself with the baby. As my GP had told me I needed to get on with it, I never went back to follow up, even when my mum mentioned she thought I may have PND. I started to get better once I went back to work and managed to start spending some time looking after myself. Even that made me feel guilty at the time, as though I was unable to be happy around my daughter! When I was pregnant with my second daughter I realised I needed to deal with a lot of pent-up emotions from my first birth. I’m convinced that the therapy I had, and making sure I was much kinder to myself after my second labour, have helped me have a much more positive experience this time around. 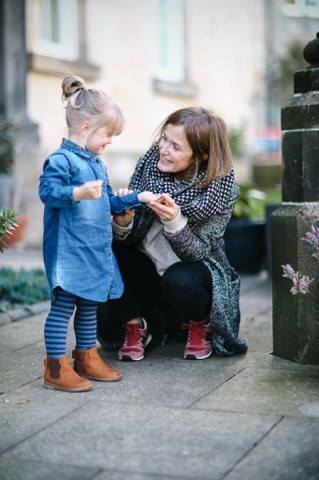 We moved to Edinburgh almost two years ago and I decided to volunteer with Juno as I realised how much I would have valued a space to vent, a shoulder to cry on when I was struggling, knowing that I wasn’t the only mum finding it hard. I am honoured to be a part of Juno and the work it does, and love being able to help other mums, even in a small way. I’m a single parent to a spirited 5 year old girl called Grace. We’re based in Leith, but I lived for several years (and became pregnant and gave birth) in London. I had a lot of stress during the first trimester of my pregnancy, and then suffered massive upset, stress and anxiety following the break-up of my relationship when Grace was six months old. Finding myself a bit broken, I decided to move back to Edinburgh (where I’m originally from), but this meant a lot of upheaval and having to resign from a job that I loved. The life I’d been living previously in the Big Smoke – with an exciting career, happy home and relationship (or so I’d thought! ), good friends and social life – was a very stark contrast to the one I’d been thrust into: unemployed in Edinburgh with a baby in tow. I have no family here so I found myself very much alone with no help – I had literally been left holding the baby. Juno didn’t yet exist at that time but I wish it had. I quickly gave up on mum-and-baby groups because I found them quite isolating – all the other mums seemed to be in their element and loving life, whereas some days I felt like I’d performed a miracle if I managed to get showered and dressed and leave the house, and even better, if I managed it without crying! I would have really benefited from finding other women who felt the same way as I did, so I could have shared my feelings honestly without judgement, with people who understood. Two years later, I discovered Juno when I was looking for voluntary opportunities and it jumped out at me. I’m in a much better place now, but when I was at my lowest ebb this is exactly the kind of organisation I had needed. I started attending and observing the Sighthill group with a view to starting a group in the North of the city. From my first session I knew immediately that I wanted to be involved – being a part of an organisation at which the core is the principle of women supporting women really speaks to me, and I’m massively proud to be a part of Juno today. I’m Fiona, the mum of two girls aged 3 and 1 years old. While both my girls were young, but particularly with the arrival of my second, I became aware that I didn’t seem to be finding things very easy in comparison to other new mums – or so it felt at the time! It was difficult to discuss this with others, especially as I felt my anxiety, low mood and tiredness were all in some way a natural experience of parenting. With the support of close friends and family, and an understanding GP and health visitor, I was able to realise that what I was experiencing was not ‘normal’ – and while I was not alone in experiencing it, I could receive support to manage and come through it. I joined Juno to help support other parents who are going through similar situations, and to help combat the stigma around perinatal mental health issues. I am a mum to two girls, aged 6 and 2. My depression probably started whist I was pregnant with my oldest girl. Although I filled in many Edinburgh Postnatal Depression Scales over the years I always lied because I didn’t want anyone to know how hard I was finding things. I also managed to convince myself that things would get better after the next big event (holidays, birthdays, Christmas… anything really). Around 8 months, February 2015, after I had my second child I realised that things weren’t going to get better and that I needed extra help. Around the same time that I went to see my GP I also e-mailed Juno. Without the support of Lauren, Tess and the other ladies at Longstone Juno I don’t think I would have recovered as quickly as I did. As soon as I walked into the group I was made to feel welcome, listening to other people’s experiences helped me feel normal and hearing about different treatments from people who had tried them helped me to access the right things for me. At the end of August 2015 I was due to go back to work, as I was no longer able to attend the Juno Group I volunteered to help out at Toots Juno (I now co-run the group with Donna) and joined the committee…. At the moment Edinburgh is lucky it has Peer Support for PMHS and I want to make sure that I can share the support that I found with other Mums struggling with similar experiences. 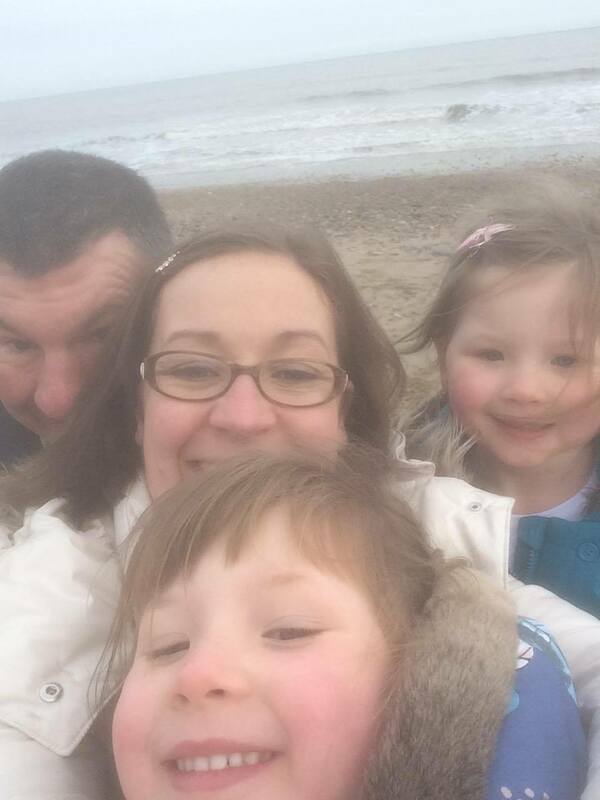 I’m Rosie, a 30-something mum to two children aged 4 and 18 months. I love cooking, Pinterest and travelling (when I get the chance which is nowhere near as much as I used to!). When I had my first child I had a very straight-forward pregnancy and pretty much sailed through the first few years. Unfortunately due to a late miscarriage I suffered after having my 1st child, when I was finally lucky enough to become pregnant again I had a very tense and emotional pregnancy as I lived in fear of what might go wrong. Despite having a wonderful midwife, I now feel this was undiagnosed peri-natal depression. As a result when my 2nd child was around 5 or 6 months I just felt I could not cope anymore, that I was drowning and that it was all just too much for me. Thankfully with a little more time passing and admitting to family that I was finding things tough things began to slowly improve. In summer 2014 I came across the support groups as I was keen to find out more about support available and there was no group local to me. I started to attend committee meetings and help with some fundraising. When my 2nd daughter was around 10 months I returned to work part time which was exactly what I needed as I felt I was becoming lost in being ‘just a mum’. I now enjoy the time I spend with my children and feel that I have some of ‘the old me’ back again.